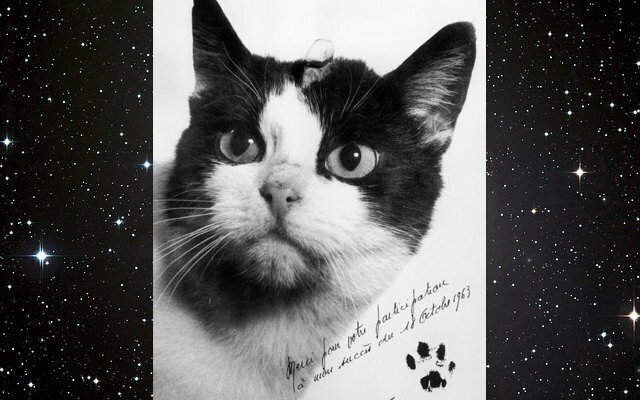 This month found several web writers remembering Félicette the cat, the very first feline in space, who was called “Astrocat” by the paparazzi of the day. She, and her 1963 voyage into space holds a place of honor on the website of the French government’s space agency Centre national d’études spatiales. “Thank you for taking part in my success of 18 October 1963,” read an autographed promotional photo of Félicette. It’s not clear who the cat was speaking to — or how she learned to write — but her story has been passed down through the generations. Félicette was one of 14 cats who trained for space missions for the French space agency, according to Félicette’s page on Wikipedia. They endured high-acceleration training in high-G centrifuges and compression chambers in a sort of cat version of “The Right Stuff.” It’s usually said that Félicette was found wandering the streets of Paris, and was scooped up for an entirely different destiny. Although the venerable site Purr-n-Fur UK has also heard that the French space program bought Félicette from a cat dealer. All the cats “were deliberately not given names, to discourage staff from becoming too attached to them and results possibly being influenced,” reports Purr-n-Fur UK. Apparently, Félicette’s name originated sometime after her flight. And the site reports one more exciting plot twist. Somewhere among the stories of these events of half a century ago, the myth emerged that Félicette was not the cat originally chosen for the space mission, but that it was a male cat called Félix, who managed to escape from the laboratories at the last minute — so that Félicette made the flight by default, as it were. The site also reports that the first cat into space was supposed to have been launched from Brazil. On New Year’s Day, 1959, Brazil’s Army Technical School had made preparations for blasting a tomcat named Flamenco up 70 miles into the sky while monitoring her health, before deploying the capsule’s parachute for a return to earth. But cat lovers protested, and instead, the project was dismantled, while the man responsible for the project, Colonel Manuel dos Santos Lage, was transferred to other duties. And so it was Félicette who made history on October 18, 1963, on a glorious morning in Algeria. Somewhere in the Sahara desert, as the clock struck 8:09 a.m., Félicette’s rocket blasted off. It rose gracefully up into the air — a full 97 miles — then deployed its parachute. The whole flight was over in just 15 minutes, but Wikipedia reports that brave Félicette “was recovered safely after the capsule parachuted to Earth.” One French-language documentary commemorates that thrilling moment when the cat was pulled out — upside-down — from the parachuted capsule. “France has successfully sent a cat into space,” cheered the Sydney Morning Herald back in 1963. Félicette wasn’t the first animal in space. A web page at NASA explains that research with animals began in 1948 to answer the all-important question of whether a living thing could even survive in a weightless environment. NASA’s page describes the launch of a V-2 rocket from White Sands, New Mexico in 1948 which carried a dog into space — to be followed by many more launches with monkeys, mice, or a combination of the two. After manned spaceflights began, the animals carried into space became more exotic — everything from rabbits to jellyfish. And even France’s space program began by training a rat. 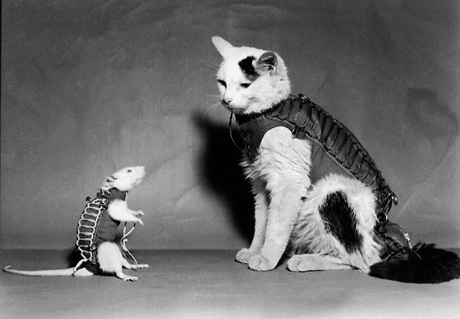 Hektor the rat completed his flight on February 22, 1961, more than two and a half years before the first cat. Coders are collaborating to preserve NASA’s earth science data. “Systems We Love” goes on the road. IBM announces Watson’s newest talent: AI-powered cybersecurity. The CIA’s cartography division celebrate its 75th anniversary by declassifying maps. Educational nonprofit Code.org releases its annual report. Computerworld celebrates its 50th anniversary with Y2K cartoons. Feature Image: CNES Space Observatory, Pixabay.